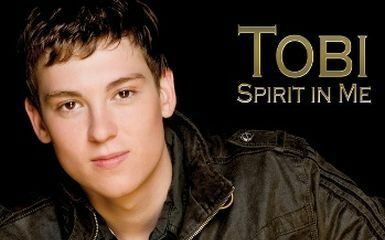 McTrax signing and Andy Fraser Protégé Tobi is set to release his debut album, entitled "Spirit In Me" on the 3rd September, proceeded by his acclaimed single "Brighten Up My Day" and suported with an exclusive DVD release of his performances in London, UK. Following an intensive promotional campaign in the US earlier this year, Tobi was made eligible for voting in the 2012 Grammy Awards in 9 different categories including "Best New Artist". Now back in his native North London, Tobi has fixed his sights on a UK release... having kick started a string of live performances and interviews with his first Isle Of Wight Festival performance in June. A lot of other people have asked me to produce stuff… and I thought... well that's not really my thing. But when there is a certain individual, like Frankie miller… or Robert Palmer… I will put my 'thing' aside because it is that important. And that's how I feel about Tobi. (Andy Fraser). Proceeding the album comes Tobi's debut single "Brighten Up my Day" released 20th August.